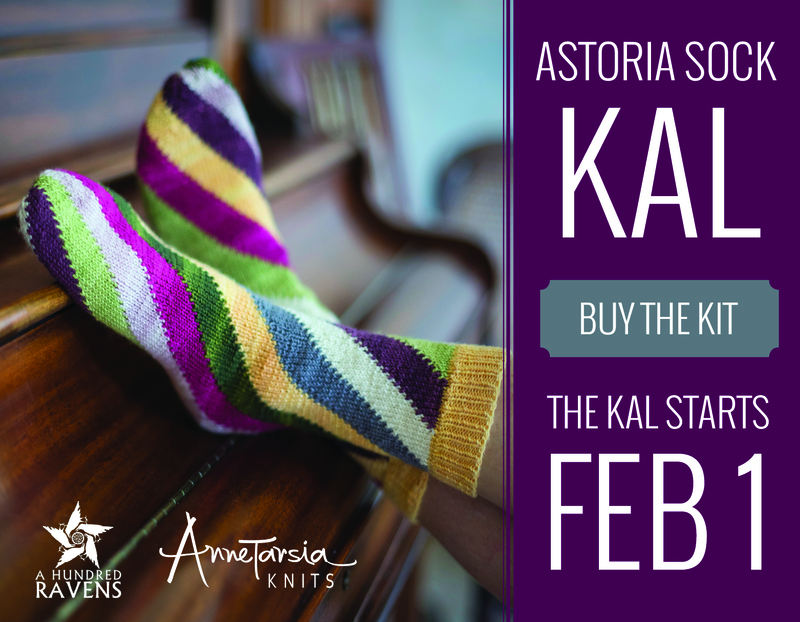 Home » Annetarsia Knits » Astoria sock KAL – let’s give away a kit! 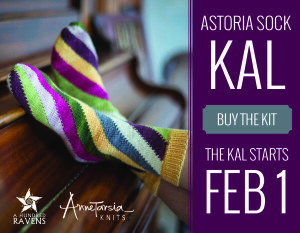 Astoria sock KAL – let’s give away a kit! When Kate sent me yarn to knit the Astoria socks, she sent more than I needed. So, I have a kit of the beautiful mini-skeins to make this sock, waiting for someone to claim it. Comment here on the blog, and we will randomly select a knitter tomorrow, and get the yarn to you in plenty of time to plan your perfect color sequence before the KAL starts Feb. 1st! Congrats to Suzied33, who won the drawing for my new Craftsy class, “Simply Stunning Colorwork”. I am very gratified at how many people entered, so for the rest of you, click HERE to get a link for a 50% discount. I don’t think it is ever possible yo have more yarn the you need…..looking forward to the KAL! Great socks alive! I wanna try these! I love these socks and I love A Hundred Ravens yarn! These will be my first socks and my first -tarsia of any kind. Thanks to you and Kate for putting this together. These socks and the colours available look so cool! What a fun project! I’d love to be entered in the drawing. I’ve never done -tarsia of any kind (as Merry said) and I’ve never tried A Hundred Ravens yarn either. But… I have the book and really want to try this soon! Great sock pattern and wonderful colours! They would look really cute on my feet. AHR yarn is amazing, and ever since I saw the sample sock at Stitches East I’ve been looking forward to trying this pattern. These would be perfect winter knitting with all the vibrant colors! I would love to get my hands on the Astoria socks kit! Great colors! These socks look so fun to wear and to knit. Love AHR yarn! Awesome sock pattern! These socks look great! What a great pattern! I really love the pattern, and AHR yarn is my favorite. I love this sock pattern! I’d better get busy finishing the class! That sock is going to be so much fun to knit! 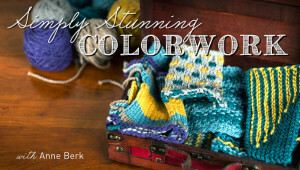 Beth on Astoria sock KAL – let’s give away a kit! Annetarsia Knits - Available NOW!